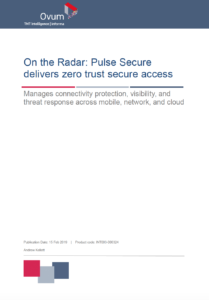 Pulse Secure vADC: Better for development, better for deployment, and better for delivery. Application delivery controllers (ADCs) are an important part of the modern application platform. 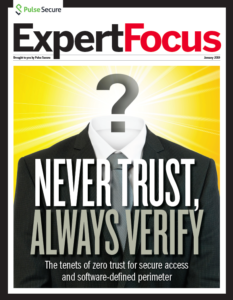 They provide key functionality to support applications and valuable tools to support operations. Their monitoring and debugging capabilities also help deliver reliable applications with predictable performance. For the highest levels of application awareness and service isolation, individual ADCs need to be dedicated to each application, and located close to application servers— or even co-located with the application itself. 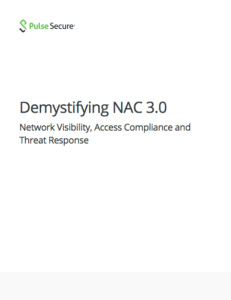 Designed with this in mind, Pulse Secure vADC is a software-defined ADC with integrated web content optimization (WCO) and web application firewall (WAF) capability designed to deliver application services in the face of these challenges. Pulse Secure vADC is a new breed of ADC that is natively designed for virtualization and cloud portability. As a pure software solution intended for the widest variety of deployments, the Pulse Secure vADC family enables a more flexible application delivery strategy and provides a common delivery and control platform that can grow with your business. Pulse Secure vADC software is designed to load balance traffic globally among servers, manage bandwidth, shape traffic, and monitor service levels. 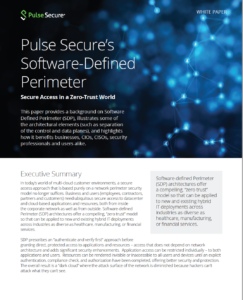 Pulse Secure vADC is designed to make applications faster, reliable, and secure. It works within cloud environments and is easily integrated into an application stack. 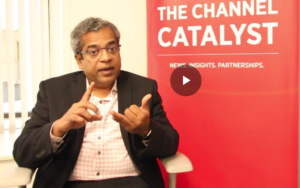 It is the industry’s first complete software-defined Application Delivery Controller (ADC), freeing applications from the constraints of traditional monolithic load balancers. While traditional ADCs deliver scalability and reliability for enterprise and web applications within the data center, Pulse Secure vADC software goes further to deliver high performance and availability and accelerating applications, including those based in virtual and cloud platforms. 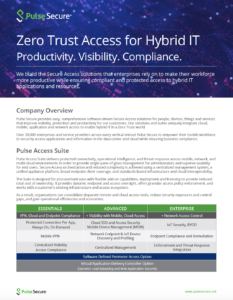 As a pure software solution, the Pulse Secure Virtual Traffic Manager can be installed on any commodity hardware platform, or as a virtual appliance on VMware, Xen, Microsoft Hyper-V, or OracleVM—or even in a container instance. Alternatively, it is available as ISO or PXE image to install directly onto Intel x86 servers. You can also deploy it on any supported cloud infrastructure such as Amazon Marketplace, Microsoft Azure, and Google Cloud Platform. For maximum deployment flexibility, you can use a simple license key to change the throughput, add-on modules and the feature capability without impacting service. 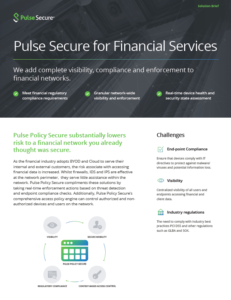 The Pulse Secure Services Director can help enterprises and cloud service providers deploy large numbers of ADC services quickly, either within a traditional data center architecture, or in evolving virtual and private cloud platforms. It automates the deployment, licensing and metering of your application delivery services, and gives each application a dedicated ADC instance in a multi-tenanted platform. This translates into extreme elasticity, instant adaptability, and high-density multi-tenancy with the ability to leverage commodity compute platforms for extensible services.